About Agent - Reis Real Estate & Company Inc.
Hi, I'm Carolyn Reis and I'd love to assist you. Whether you're in the research phase at the beginning of your real estate search or you know exactly what you're looking for, you'll benefit from having a real estate professional by your side. I'd be honored to put my real estate experience to work for you. My experience with Carolyn and her RE agency has been second to none. She was a tremendous asset in helping me make my recent home purchase. She performed above and beyond my expectations, helping with the legal aspects and being available during the entire transaction. 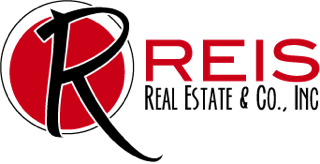 If your interested in residential or commercial real estate, then I highly recommend Carolyn and Reis Real Estate Company. I'm very grateful. I have been working with Carolyn from Reis Real Estate for several years. She has sold 2 homes for me and I have purchased 3 from her. She is very freindly and takes pride in great service and comuication. She will go out of her way to help and serve you. Carolyn made the process very simple and took care of all of the details for us, the seller. We have told many people about her professionalism and highly recommend her. I needed to sell my house and I was dealing with an eviction situation that was VERY sticky. Carolyn handled the tenant during the sale beautifully! I also had several repair items, including septic replacement, and Carolyn handled everything for me. I am an out-of-state seller and this was such a blessing. I did not have to fly in for anything!